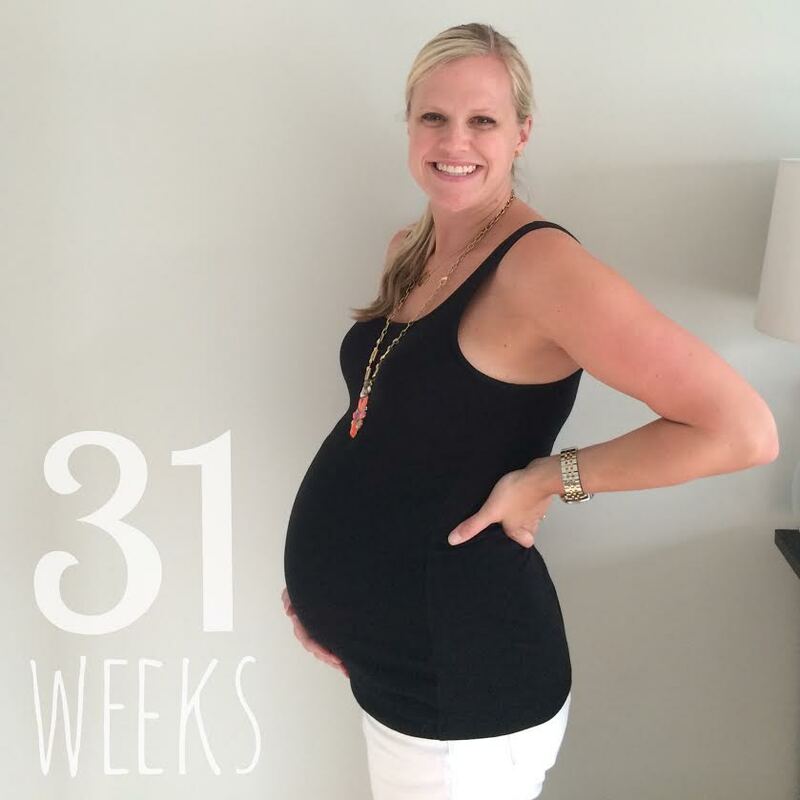 # weeks: 31 — baby is the size of a coconut! Measuring approx 18″ long and weighing 3.2 lbs. Best moment this week: Staying in town and having a low-key 4th of July — our first one ever without lots of plans or traveling! We had a fun date night, which I plan on repeating as many times as possible over the next 2 months, because I know those will be few and far between for a while once baby H arrives! Also, baby’s heartbeat was thankfully nice and strong at my appointment yesterday! Miss anything: Being able to sleep on my back, a nice cold beer over the weekend, and most of my clothes fitting. Cravings: Nothing really comes to mind, but I did really enjoy the burgers and dogs Craig grilled for the 4th! Feeling good/bad: Still feeling good, but seriously — the stair climbing is beginning to become a real chore! But if that’s all I have to complain about, I’m ok with that. Baby purchases/gifts: I picked up the framed and matted cross-stitch my mom made for the nursery, and it’s so pretty! 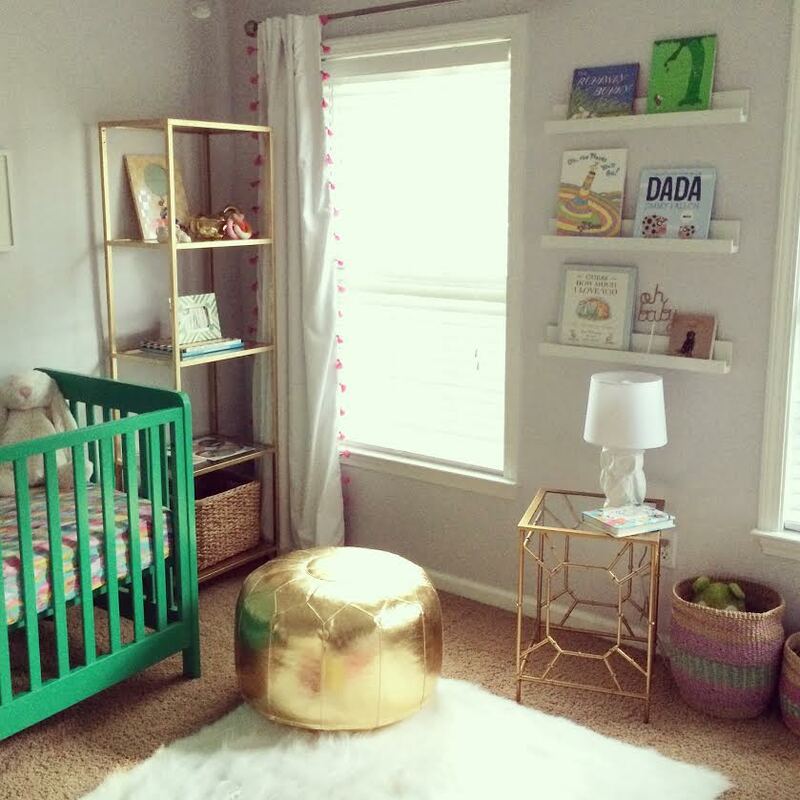 I’ve been doing some more organizing in the nursery, and now we’re just waiting on a couple more things to arrive before it’s all finished! Looking forward to: Heading to Charleston this weekend for our last wedding of the season! The timing worked out perfectly, as I’m not supposed to travel very far outside of Atlanta about 6 weeks before baby is born. I’m excited for a long weekend filled with beach days, wedding parties, and lots of friend time! Also — we tour the maternity ward of Piedmont Hospital next week…. things are starting to get real!